A town hall meeting announced by the Lee County Board of Commissioners has the appearance of a GOP campaign rally, according to an email obtained by The Rant. 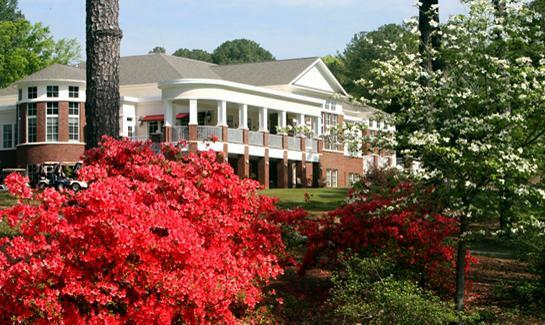 The meeting, set for 7 p.m. Friday at the Carolina Trace Country Club, was announced Tuesday and became a source of controversy because it was originally only open to residents of the gated community. 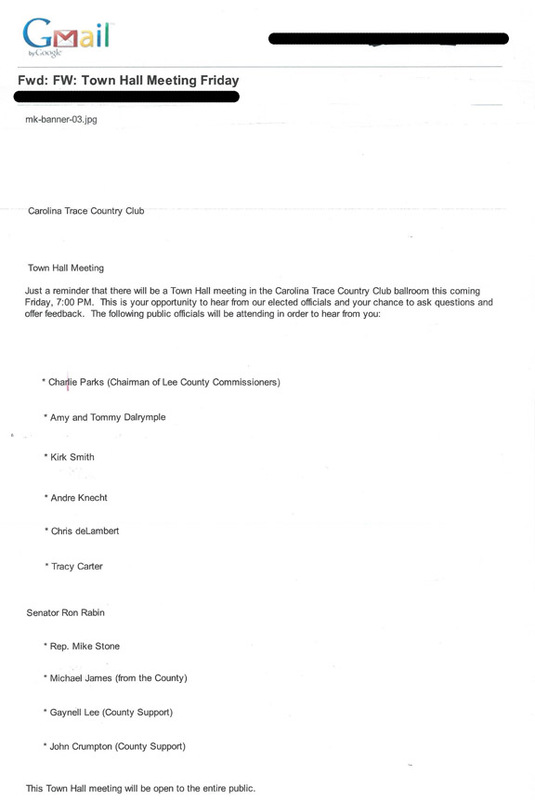 The meeting will include a majority of the Republican-controlled Lee County Board of Commissioners, and according to North Carolina open meeting laws, any meeting that includes a majority of a governing body and includes the discussion of county business must be open to the general public. When questioned on the legality of the meeting, the county on Tuesday announced that non-residents could attend the meeting by contacting the founder of the right-leaning Lee County chapter of Americans for Prosperity, Lloyd Jennings. At-large Commissioner Amy Dalrymple and her husband Tommy, an elected Soil and Water Supervisor for the county, are the only Democrats listed on the notice. It’s unclear whether Democrats Tim Sloan or Chuck Baker — running for the District 2 and 3 seats on the county commission — were invited to the meeting. The email does not mention Democrats Brad Salmon or Joe Langley, who are running against Stone and Rabin, respectively. The Carolina Trace community straddles the line between County Commissioner Districts 2 and 3. The county’s original notice stated that “the purpose of the meeting is to provide a briefing on what the Board of Commissioners have accomplished this past year and receive comments as to where citizens believe the Board should concentrate efforts in the upcoming budget year.” If that’s the case, it’s worth asking why non-board members – all of whom are GOP candidates for elected office in 2014 – are now being advertised as part of the meeting and available to take comments from voters. It’s also worth asking whether their Democratic counterparts were given an opportunity to do the same. Rabin, Stone, and David Lewis held a Town Hall meeting in Lillington last year. Interestingly enough it began immediately following the conclusion of a county GOP meeting.at the same location. Purely a coincidence I am sure. Knew I’d find some info here on this , wish I could have gone , just to see how many people got turned away ? LOL , they did not want JW there either huh ?